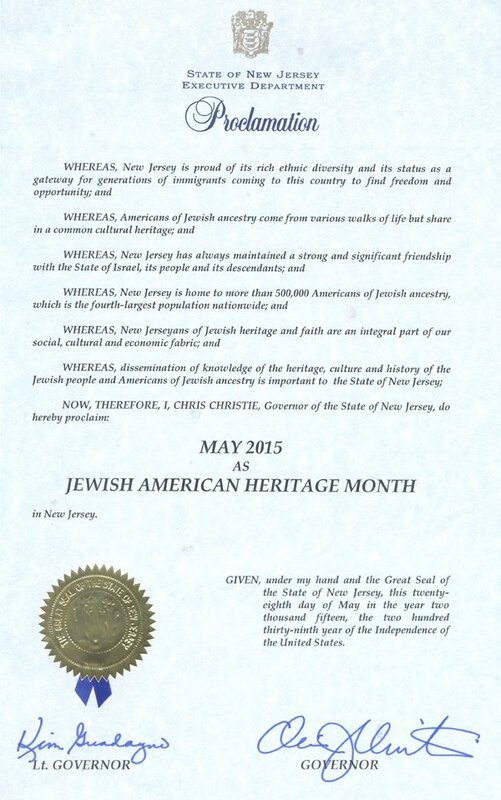 Governor Chris Christie celebrated the final days of Jewish Heritage month by inviting the Consular General of Israel - the Honorable Ido Aharoni and a select group of 50 statewide Jewish leaders to the Governor's residence - Drumthwacket in Princeton, NJ. The Governor sponsored a glatt kosher deli luncheon under the supervision of Rabbi Carlebach of Chabad House at Rutgers. The Governor's message was warmly welcomed by the leaders as he discussed the current international theme and the need for global moral leadership from the United States. Standing next to the Israeli Consul General, the Governor sent his greetings to the Jewish community throughout the state and metropolitan area. The Governor asked the Consul General share his words with the citizens of Israel as well.